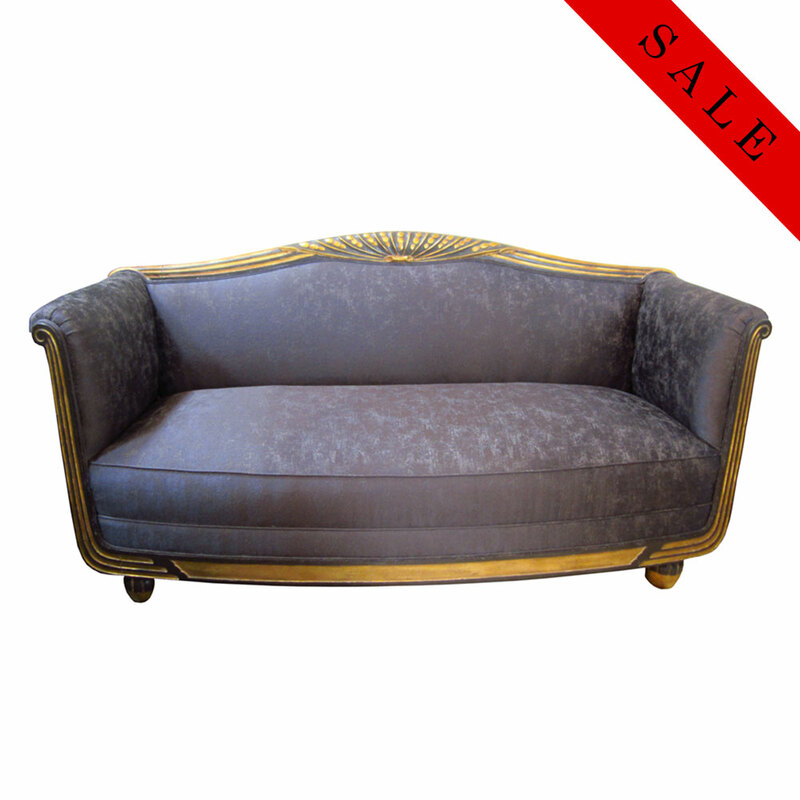 COUNTRY France YEAR c. 1930's DESCRIPTION Art Deco sofa with black lacquered frame with two side cabinets and black glass tops. 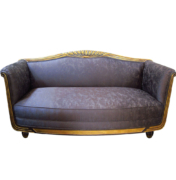 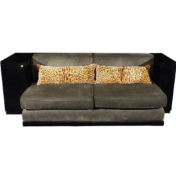 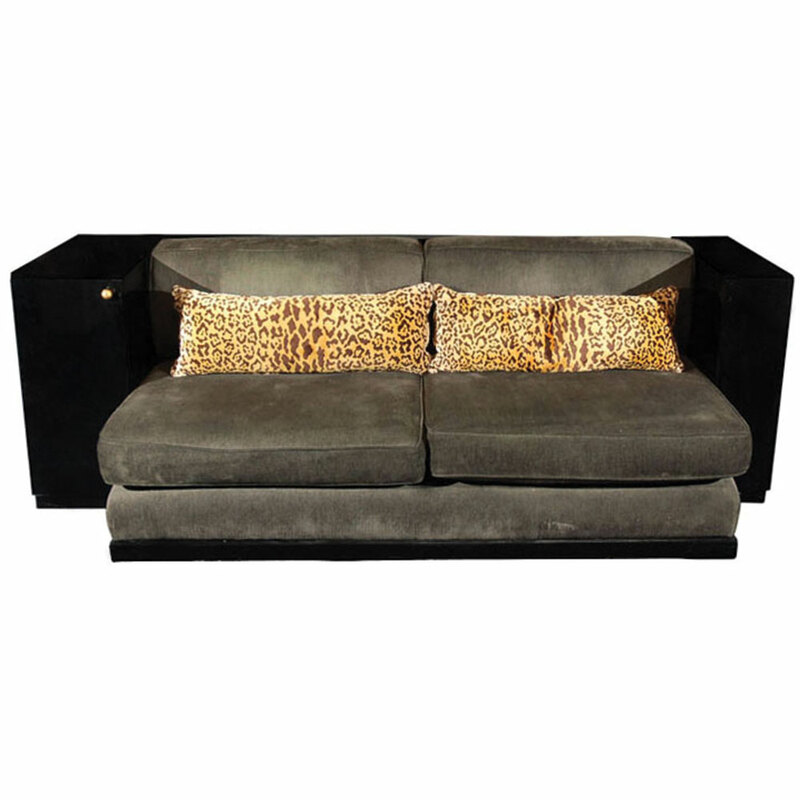 Upholstered body with cushions in black fabric. 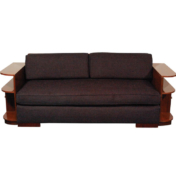 Dimensions 31.5"H x 97"W x 41"D Seat Height: 17"